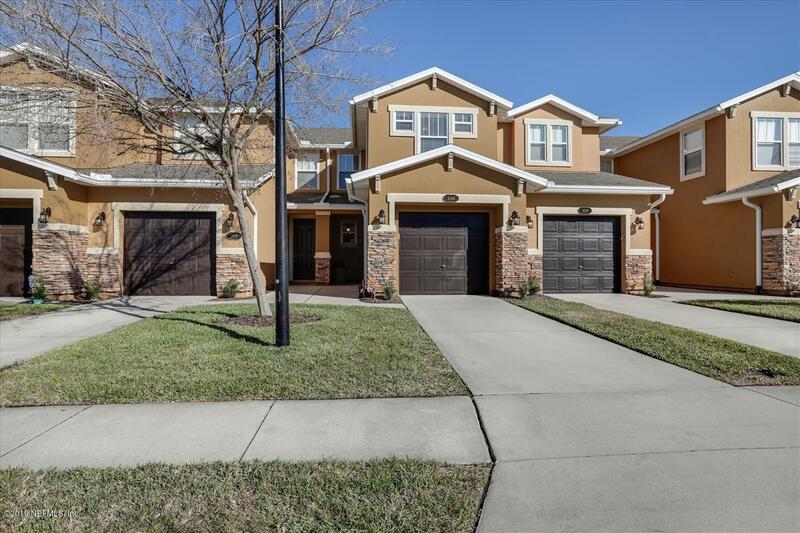 Gorgeous 3 bedroom, 2.5 bath Town Home with beautiful pond views in Tuscany Village now available! Well maintained move-in ready home with only 1 owner! 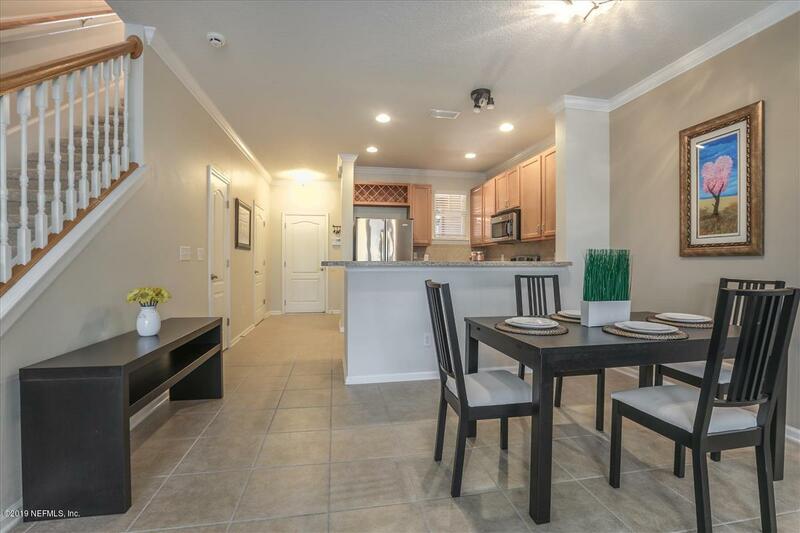 Neutral color pallet throughout with open floor plan & upgraded 42'' kitchen cabinets & back splash. Large tile throughout first floor with newer carpeting on upper level. Living room is pre-wired for surround sound. 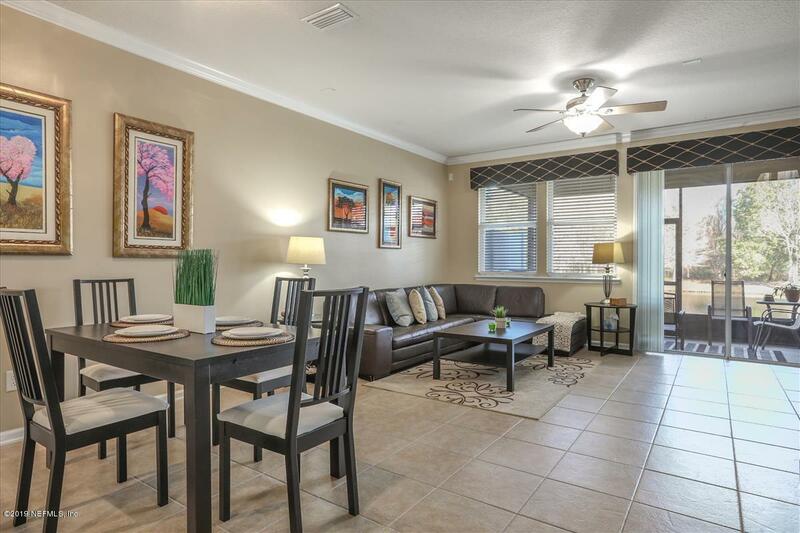 All bedrooms are situated upstairs with laundry room! Master en suite refinished with a spa-like walk in shower! 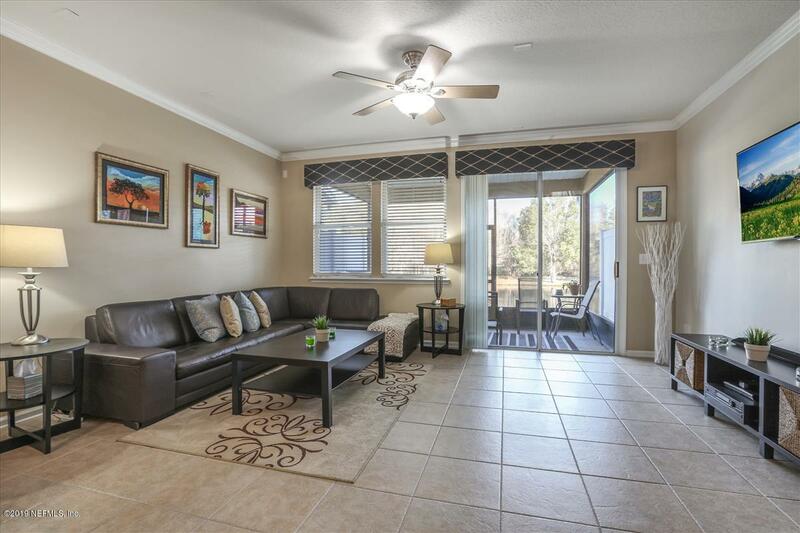 Screened in patio is great for entertaining as it faces the wide open space on the pond and nature preserve! 1 car attached garage! All appliances, custom window coverings, Lawn Service, Exterior maintenance & 1 year home warranty included! Live the lock and leave lifestyle today!